This is a sponsored post for which I was compensated, all opinions are my own however. One of the biggest stressors that I had when working was coming home at the end of the week to a dirty house and realizing I was going to spend the weekend cleaning it back up again. I have to say house cleaning is not a favorite task of mine. Now that I’m at home, I can’t say it’s any different it’s just that the house gets cleaned on other days besides the weekends. I know that for me, having my house completely clean all at the same time makes me feel tons better! I have used someone in the past to clean our home every other week, but because she was independent and worked by herself, I often worried about having her in my home while I was away. I also had to provide her with all the cleaning supplies she requested which often were different than what I would use myself. Well, I’ve now found a solution! 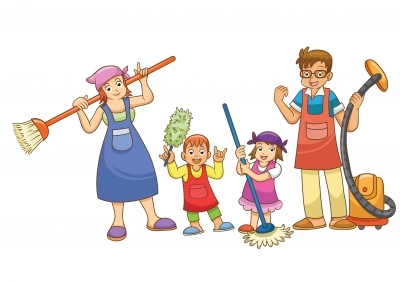 Homejoy provides house cleaning in many of the major cities. Wouldn’t it be nice to come home and the house be clean for a change and you could have more time doing what you enjoy? Homejoy is an industry leader in cleaning services. They provide background checks on all employees to ensure that your home is safe. They also put each cleaner through training to ensure they care cleaning to the Homejoy standards. They provide all the cleaning supplies and guarantee their work! Finally, they provide an industry leading 6 million dollar liability insurance policy to cover any property damage that might occur. Booking a cleaning is an easy process as well. You enter in your zip code on their secure website, provide some information about your home, schedule a time, and make your payment! Simple as that! You can rest assured you will have a clean home and be able to enjoy the things you like doing much more than cleaning! You might be thinking to yourself “But I can’t afford to have someone clean my home”. The best thing about Homejoy, they are AFFORDABLE. They bill on a flat rate of $20 an hour. I have to say that is a bargain. When I used to have a private person clean my home, it was $100 for a few hours every other week and just not practical financially and I had to provide all the cleaning supplies! What are you waiting for? Check out Homejoy today and get your house in shape for spring or schedule regular cleanings so that you can get back to enjoying life and not having to worry about spending time stuck in the house cleaning! This post is a sponsored post. I was compensated by Homejoy to describe their services. For more information, see my Disclosure policy. *Graphics courtesy of Free Digital Photos and Homejoy.